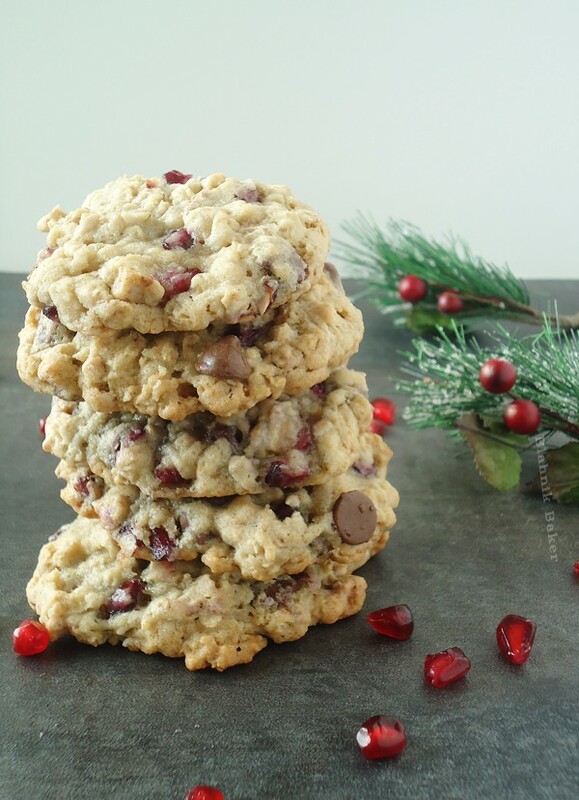 As we enter the holiday season, we wanted to share this recipe that has our mouths watering. What a delightfully perfect time of year to use those colorful pomegranates along with your Lágrima vanilla. Thank you Zainab at Blahnik Baker for sharing your favorite recipes that feature Lágrima! In a medium bowl, whisk together the flours, baking soda, salt and oatmeal. In the bowl of an electric mixer fitted with the paddle attachment, beat the butter and sugars until light and fluffy about 2 minutes. Add the egg and vanilla extract and mix until combined. Add the dry ingredients and mix until just combined. Using a stiff rubber spatula, fold in the chocolate chips and pomegranate seeds. Cover dough with plastic wrap and chill for 30 minutes to an hour. Using a medium cookie scoop, arrange dough balls 2 inches apart. Bake cookies for 12-14 minutes or until lightly golden around the edges. Remove from oven and let cool on baking sheet for to minutes before transferring to a wire rack. Cool completely. For those of you who don't know, St. Louis holds a special place in the hearts of Rebekah and Neil. They went to college in St. Louis. What does all of this have to do with recipes? 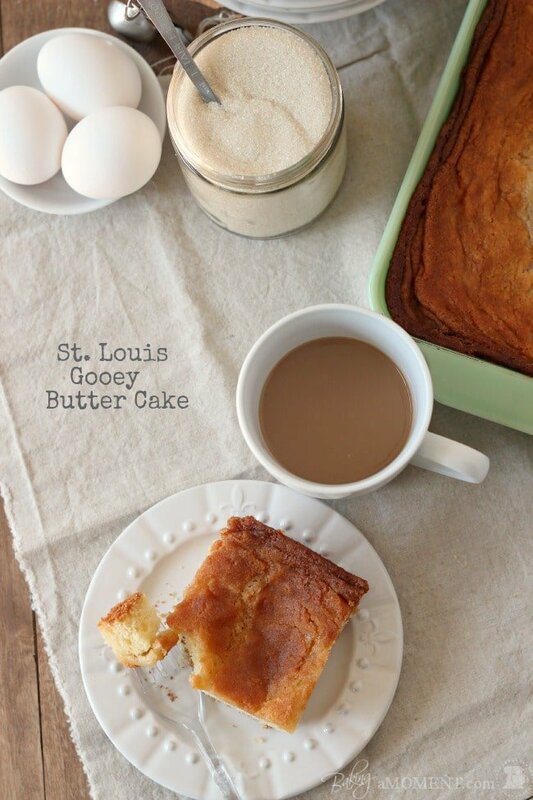 Allie from Baking A Moment has a butter cake with its origins in St. Louis and it takes us down memory lane. Also, our stomachs rumble -- it looks amazing. 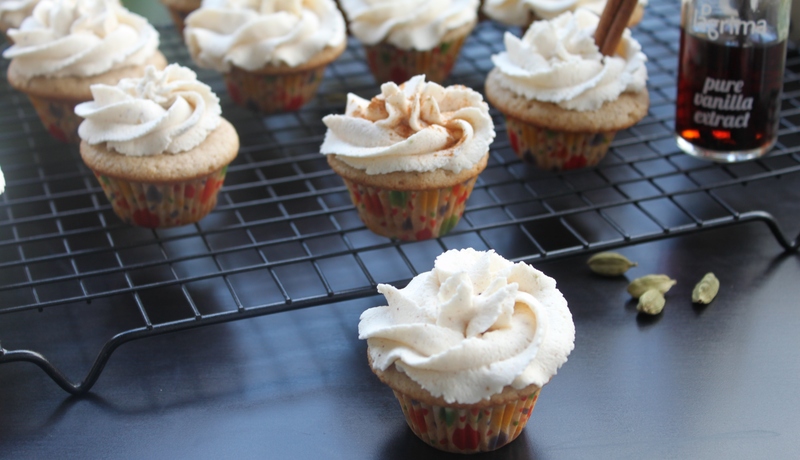 Please, pour out the love to Allie at Baking A Moment and visit her wonderful site and explore her wonderful recipes. Who doesn't love cheesecake?!? It is cheese after all so it must be healthy. Don't worry about the butter, sugar and cream. We met Yvonne at a vanilla party in Salt Lake City in early November and became instant fans with her site: Tried and Tasty. She posted this wonderful recipe just in time for the holidays. Plus, her post is hilarious and she is a fan of Lágrima. What else could one want in life? 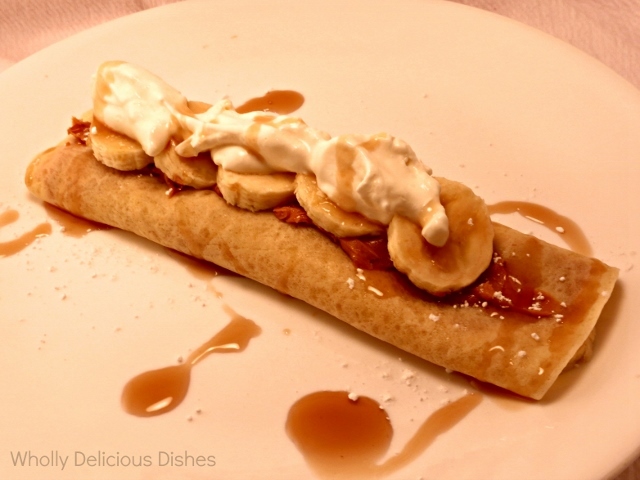 We spoke with Erin from Wholly Delicious Dishes after her family cooked crepes with Lágrima vanilla. The story goes: crepes are made quite frequently in their family. However, most recently when the crepes were prepared with Lágrima vanilla her children remarked that they were extra delicious and something was different. Indeed, something was - the vanilla, of course. We just had to quote from Erin's post because she summarizes what we are hearing from just about everyone who has incorporated Lágrima vanilla into their cooking. This stuff is awesome! There is vanilla and there is vanilla, but this my friend, is VANILLA. The flavor is pure and sweet, very fragrant yet not over powering. What comes to mind with this particular formula is it provides a “clean” taste element to the end product. It’s interesting how changing up one ingredient can turn food from so-so to Sooooo-good. Lagrima vanilla is one such product. Thank you Erin! We are so thrilled that you love the product and share our values for great food. We were just missing something to tie everything together. This is when we dug out the old family cookbook that Nei's mother had assembled when he and Rebekah were married nearly 15 years ago and we found an unattributed recipe that seemed just perfect. This recipe mixes up really fast and makes an gooey blondie (not a brownie) that is great to melt ice cream over. Whip the butter and combine with the brown sugar. Add the eggs, one at a time. Add the vanilla extract and maple syrup. Combine the dry ingredients (add the cinnamon here if you wish) and fold into the wet ingredients until just combined. Stir in the nuts if you are using them. 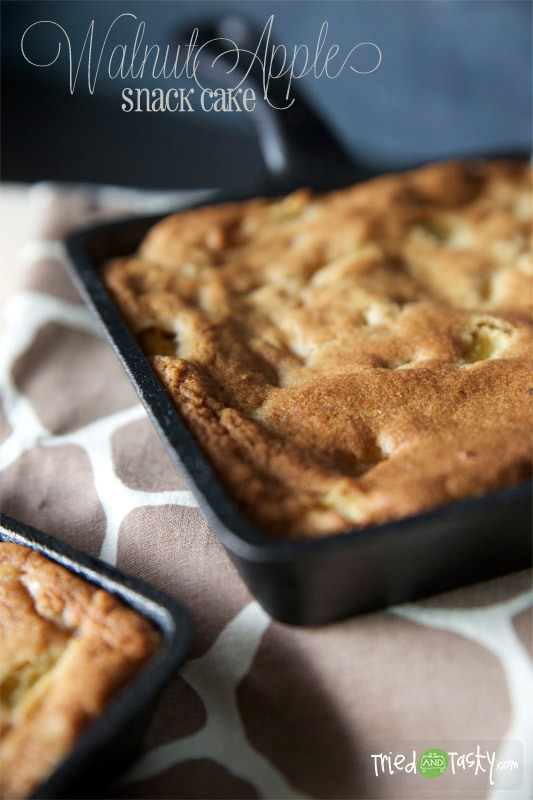 We like our blondies thick and gooey so an 8 x 8 inch or 9 x 9 inch square pan is great. (don't forget to grease the pan). Bake for 30 minutes and check for a knife that they are done. I find these are still great a day after baking, but for a real treat, eat them just 15 minutes out of the oven. Well, here is a work of art that you can eat. 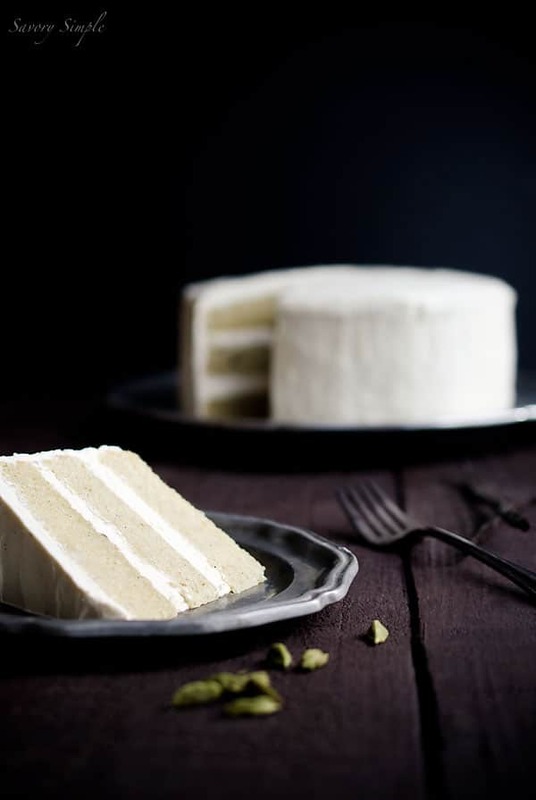 Jennifer Farley of Savory Simple has combined two of our favorite flavors (her's too) into this masterful layer cake. Her photography is delightful; her use of vanilla is generous (tablespoons!) plus she uses the vanilla beans themselves. We can't do the recipe or the imagery justice here - click on over to Savory Simple and see for yourself. It was such a wonderful surprise to see a recipe from Allie's Baking A Moment blog include Lágrima vanilla. Allie picked up a sample bottle of Lágrima at the 2013 International Food Blogger Conference - IFBC 2013 - held in Seattle this September. 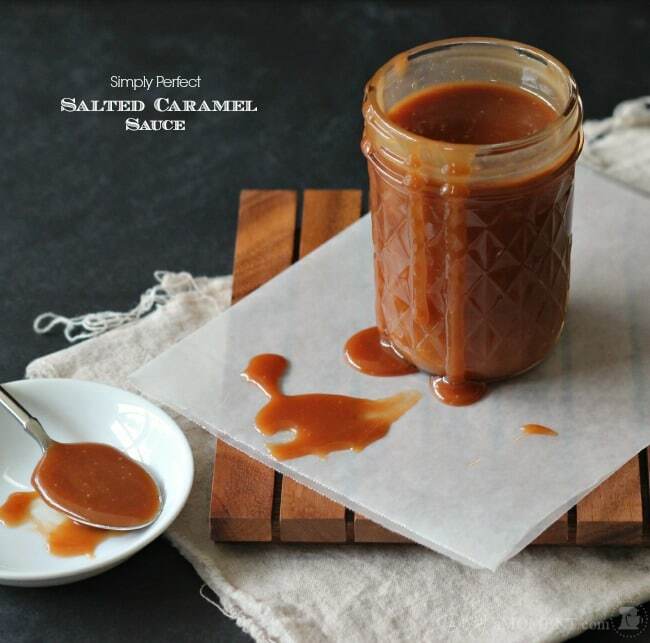 We are thrilled with her enthusiastic feedback and even more thrilled with this Simply Perfect Salted Carmel Sauce. 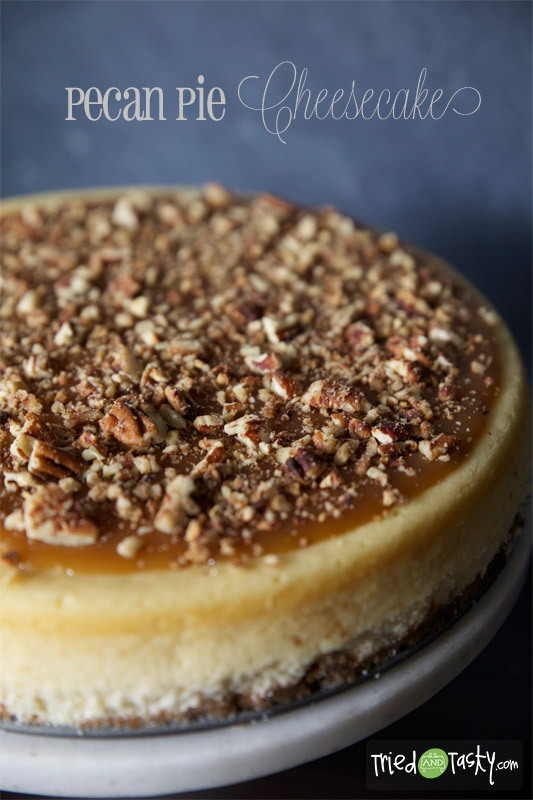 Her attention to detail, including step by step instructions with accompanying photos, make this recipe (and her entire site) an absolute pleasure. Please visit Baking A Moment -- her photography and recipes made us instant fans -- we expect you'll feel the same.